The government has a set of laws that address the needs of Persons with Disabilities (PWDs) in the country. These privileges can be availed by presenting a special PWD identification card. To apply for a PWD ID, a person should manifest indications of a disability acknowledged by a medical professional through a clinical abstract or medical certificate. Bring a valid government ID and Barangay Clearance. Bring your accomplished Philippine Registry Form for Persons with Disability. Forms are available on local government offices, National Council on Disability Affairs, Department of Health, and Department of Social Welfare and Development. You may also download the file or register online at the Department of Health’s Philippine Registry For Persons With Disability. Provide a medical certificate or clinical abstract from a physician. It should include the doctor’s name, signature, and license number. Prepare two 2×2 ID picture for the application form, and one 1X1 ID picture for medicine booklet. If the applicant is unable to appear in person for the application, a family member may take over on behalf of the applicant. All that is needed is an authorization letter signed by the PWD applicant. After the verification of submitted documents, the forms will be forwarded to the health center near your municipality. The appointed officer will fill out a certification form and will input the submitted data to the Philippine Registry for PWD. 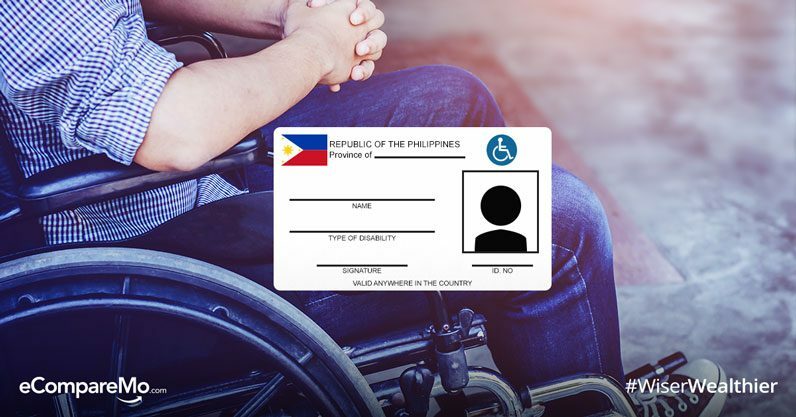 Then, the PWD applicant must submit the certificate of disability and approved application form to the nearest office of Social Welfare, NCDA, or DSWD for the actual issuance of ID. This typically takes only a few minutes to be issued. What benefits are PWDs entitled to? Financial assistance, scholarship, learning materials, and other educational assistance in both public and private schools. Caregivers of PWDs are also eligible to tax incentives in compliance with the National Internal Revenue Code’s provision.